Vanity is an Addiction: Beauty Alert: Maybelline Dream Matte Powder in Singapore! One thing that got me really really excited was that I've stumbled upon the Maybelline Dream Matte Powder in Watsons Singapore over the past weekend! It's really a DREAM now that it's finally on shore. Along with the powder, the launch also came together with the Maybelline Dream Liquid Mousse and the Maybelline Dream Matte Mousse. Whilst I'm ecstatic with the product being brought in, I wasn't quite impressed with the price point. The product is priced at SG$22.90, pretty expensive compared to the price in the US. 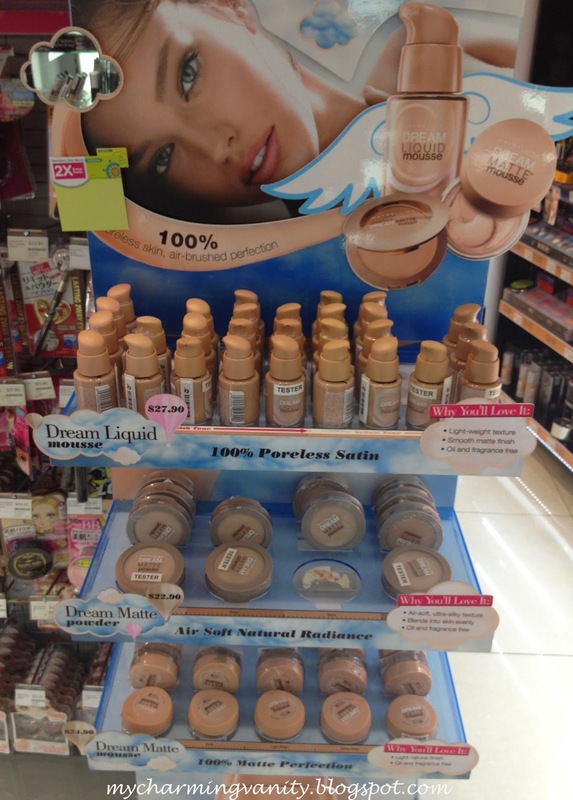 Anyway, for those interested, I saw the display at Watsons Tiong Bahru Plaza. I'm sure you guys will be able to find the display at most of the major Watsons outlet.